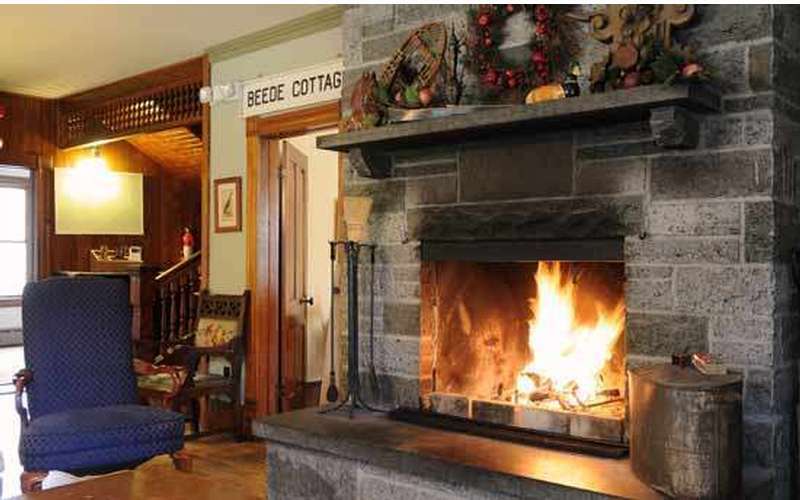 Once you have experienced the rustic elegance of Keene Valley Lodge and the magnificent beauty of the region, you'll start planning your return trip! 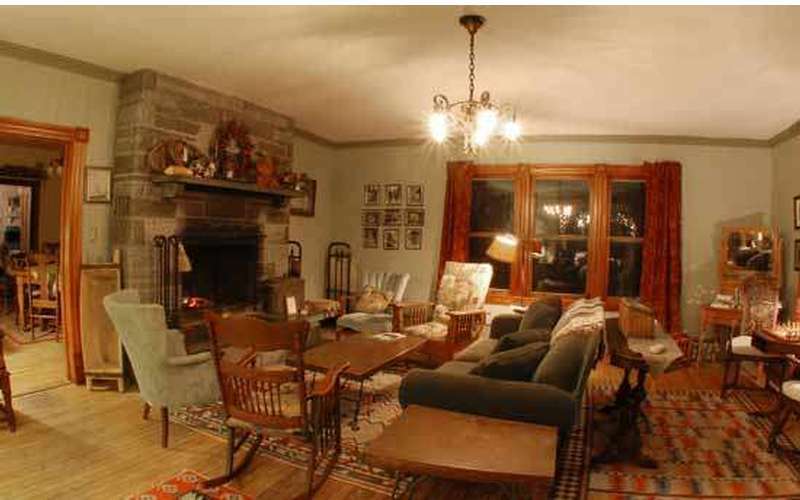 Located just 15 minutes from Lake Placid, the Lodge itself reflects the image of a time when Adirondack independence produced grand homes and lodging for hearty residents. 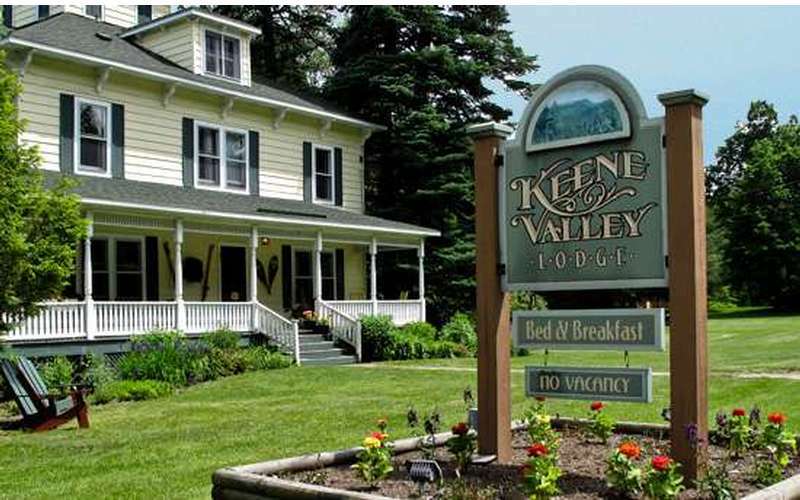 Keene Valley Lodge is tucked into the hamlet of Keene where you can easily access every type of activity you like, whether it be outdoor pursuits such as hiking, skiing, or rock climbing. If the activity you're looking for is none, we have that, too! 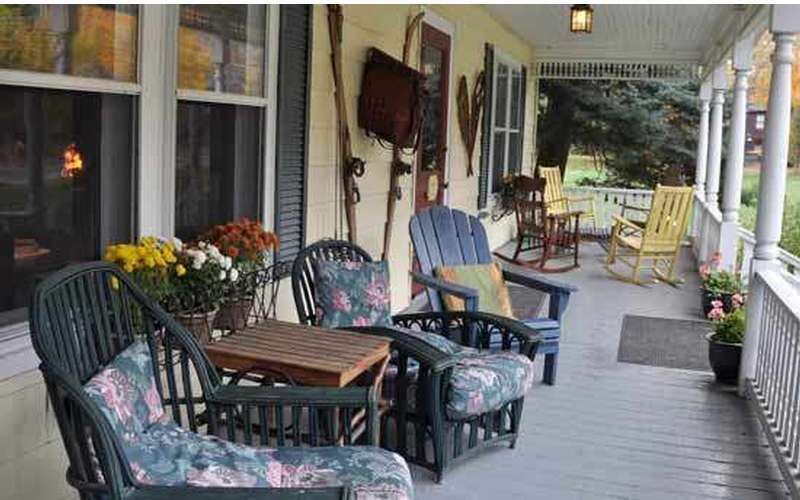 You can relax on our spacious wraparound porch with a good book, your laptop, or just simply unwind and drink in the sights and sounds of this pristine area. The High Peaks region is famous for its rugged terrain that provides world class rock climbing and hiking, along with miles upon miles of cross country skiing and snowshoeing. There are also many Adirondack Mountain trailheads within a short drive. Abundant wildlife and stunning scenery make this an ideal location for nature photographers, artists, writers and wildlife enthusiasts of every degree. Lake Placid offers the historic Olympic venues from ski jumps and bobsled runs, to the bustling downtown where you can stroll the shops, galleries and restaurants that make it a favorite Adirondack destination. 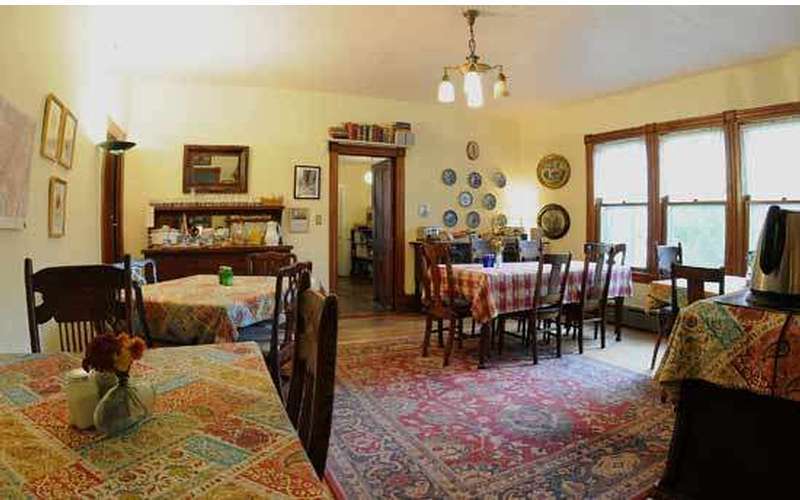 You will find yourself relaxing at the end of a busy day by the huge stone fireplace with a good book, or taking an after-dinner stroll along the quiet village streets of Keene. 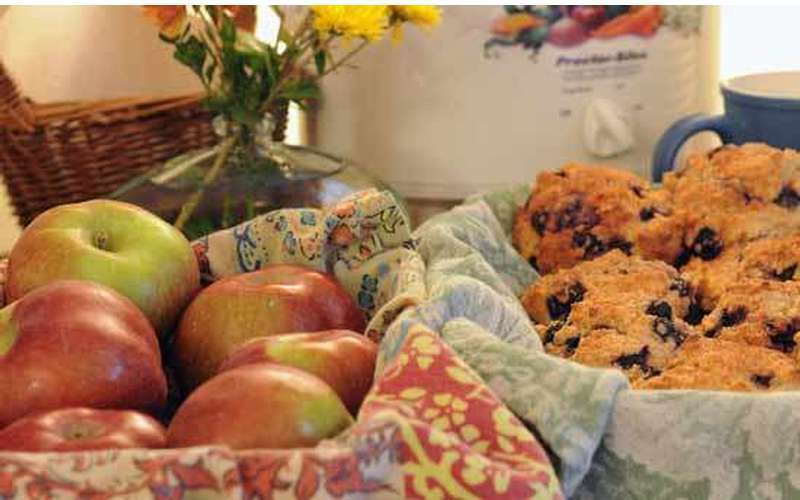 After a night of rest and relaxation, you can enjoy a leisurely mountain breakfast buffet that includes fresh baked goods and lots of gourmet coffee. 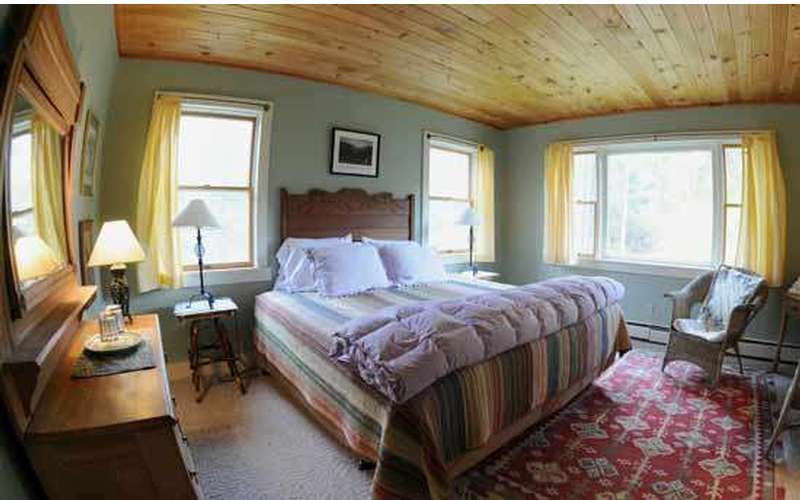 If you are vacationing with a group, we have a 3-bedroom cottage on the grounds that sleeps 7 or more, with amenities that include a private deck with grill, a washer/dryer, dishwasher, and free internet access. Your hosts are experienced outdoor enthusiasts and themselves, with a deep appreciation for the region and it's resources. 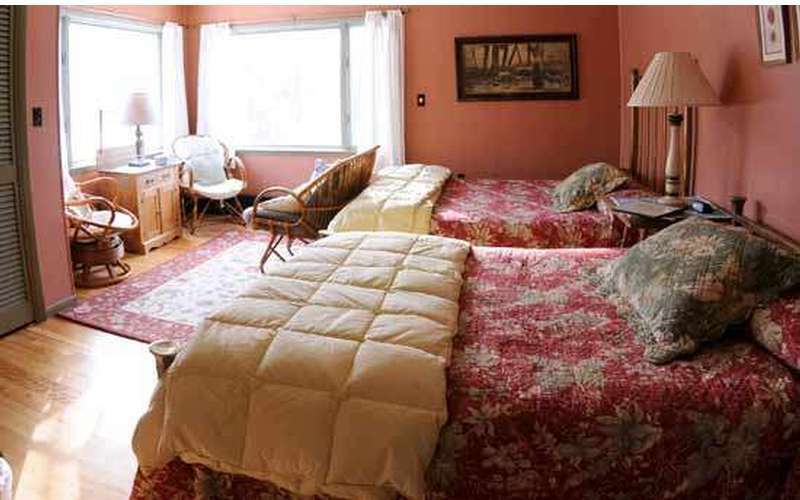 They will be happy to help you plan your visit, and look forward to making your stay one you will remember.